SDS will meet every Wednesday this semester at 6pm. 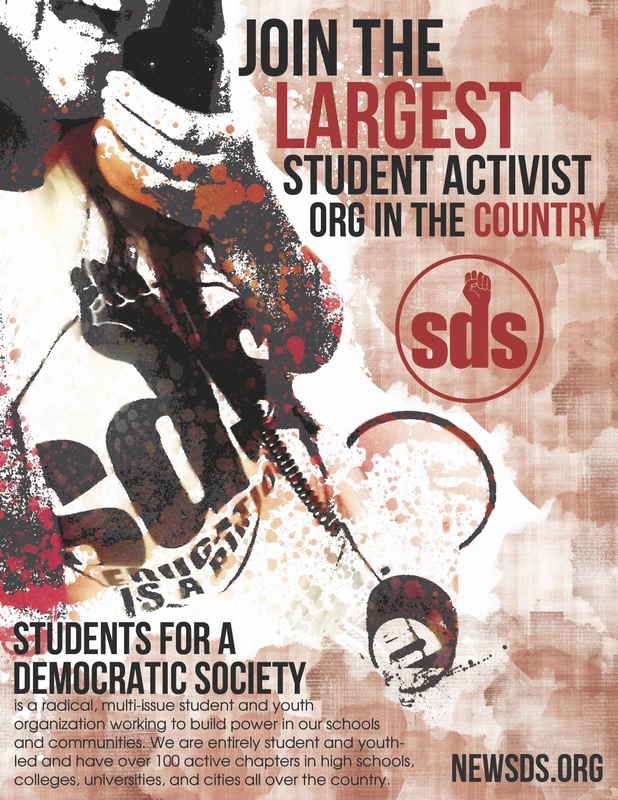 Students for a Democratic Society is a national multi-issue student-led activist organization. We fight on our campus for an end to high-tuition and fees, which leads to crippling student debt. We demand diversity at our university and believe that our urban University should reflect its urban population. We also join community activists and fight back against U.S. wars and occupations. Get active. Join SDS.